The Bowness on Windermere hotels listed below are either in the town or we have given a rough guide as to how far they are from Bowness on Windermere. We hope you enjoy your stay and find your ideal accommodation. Station: WINDERMERE. 2miles. On the eastern bank of Windermere approximately 18 miles from Junction 36 of the M6. 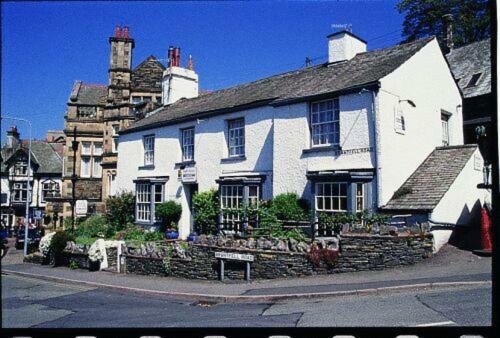 The hotel is on the lake shore at Bowness Bay on the A592 behind/next to St Martins church. Station: WINDERMERE. 1.25miles. Leave M6 at Junction 36 (South Lakes). Follow A591 to Windermere. From Windermere follow signs for Bowness and Lake. After Bowness shops and before the lake, look for St Martins church on the right. The hotel is directly behind the church. Located in the beautiful Lake District, Lonsdale House offers free Wi-Fi, cooked breakfasts and en suite rooms, and owns a prestigious Visit Britain Silver Award. With a spectacular hilltop setting overlooking Lake Windermere and the surrounding Lakeland fells, the award-winning Linthwaite House Hotel provides luxurious accommodation and easy access to the Lake District. Set in private grounds above Lake Windermere, Aphrodites Boutique Hotel offers luxury themed suites with jacuzzi baths. There is free parking, an indoor pool and an organic restaurant. Set in a peaceful area of Bowness and only minutes away from the town centre, this beautiful modern house boasts spectacular views over Lake Windermere and has free Wi-Fi. Set in a Victorian country house, the White Lodge Hotel offers en suite rooms with classic decor and flat-screen TVs. It is just 650 metres from Lake Windermere. The White Lodge is a 4-star, family-run guest house. Once owned by children's author Beatrix Potter, this country house hotel and award-winning restaurant is set in beautiful large gardens, overlooking Lake Windermere and the fells. On the shore of Lake Windermere, Macdonald Hotel and Spa has a 2 AA Rosette restaurant and spacious rooms. There is a 20-metre swimming pool and a Technogym. The rooms at Macdonald Hotel feature flat-screen TVs, bathrobes and free mineral water. Enjoying beautiful views of Lake Windemere, the charming Fayrer Garden House Hotel also boasts 5 acres of gardens and grounds, individually styled rooms and an award-winning restaurant. 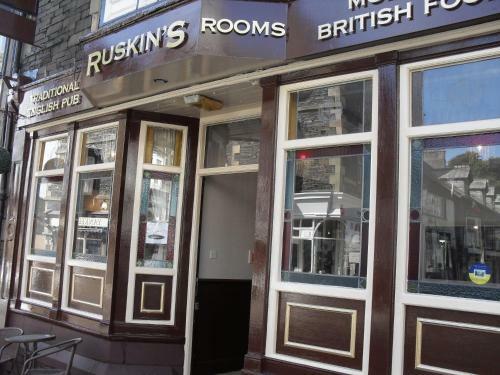 In the heart of Bowness, Ruskin's is a traditional English inn near Lake Windermere. Each room has a flat-screen TV with a DVD player, and traditional-style decor. 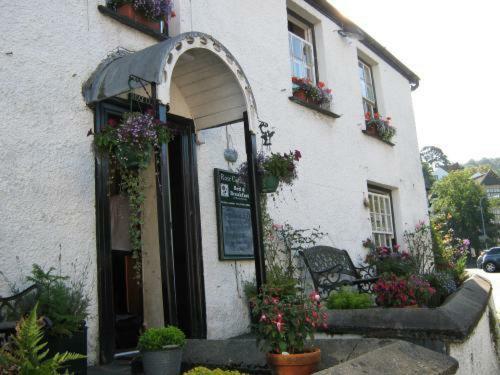 Centrally located for exploring the beautiful Lake District, Hazeldene Guest House offers free parking and full English breakfasts, just 10 minutes' walk from the shores of Lake Windermere. A one-minute walk from Bowness Bay, Laurel Cottage is a few minutes' walk from Lake Windermere and offers free Wi-Fi and free parking. Each bedroom has its own character with Victorian or Cottage decoration. Most of them are en suite. 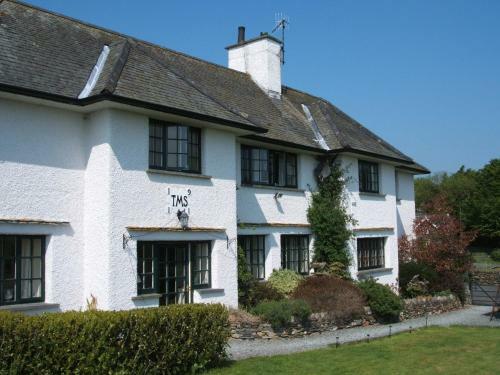 Just 2 minutes' walk from Bowness centre, The Stags Head Hotel offers cooked breakfasts, free local leisure passes and home-cooked food in the traditional pub restaurant. 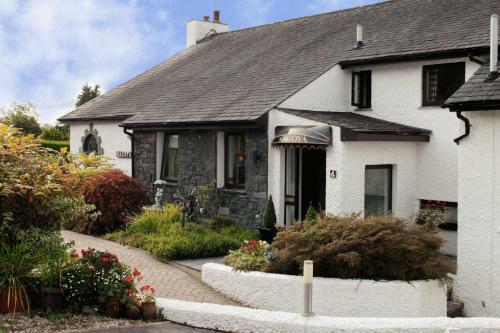 The peaceful, modern Lingwood Lodge guest house is just a 400-metre walk from Lake Windermere and the village of Bowness. With king-size beds, rooms have en suite showers. The spacious rooms all have TVs, DVD and CD players. Built in 1843, The Old Courthouse is one of the oldest and most charming buildings in Bowness-on-Windermere. 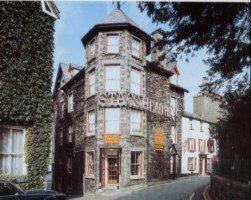 Just minutes from Bowness Bay, the hotel offers colourful rooms with en suite facilities. 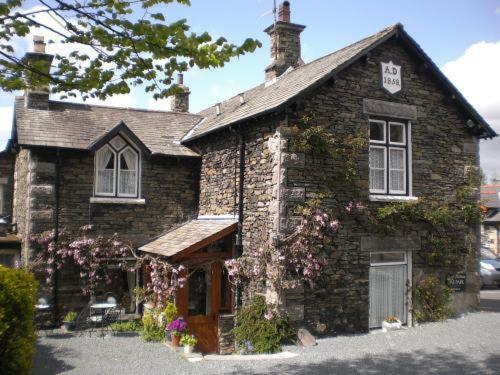 In Bowness-on-Windermere, this traditional Lakeland cottage offers rooms with TVs, tea/coffee facilities and hairdryers. Full of character, most rooms at The Bay House feature lakeside views. The Hawkrigg Guest House offers rooms with stunning views of Lake Windermere and Langdale Pikes. In the quaint village of Far Sawrey, the Windermere Ferry is just 1-mile away. Built in the 19th-century, the Hydro has views over Windermere Lake. It boasts a swimming pool, a sauna as well as free parking and Wi-Fi. In beautiful landscaped gardens, Beech Hill has a 2 AA Rosette restaurant and an indoor heated pool. Some rooms feature spa baths, four-poster beds or garden terraces. A relaxing retreat in the heart of the Lake District, this charming 16th-century cottage is situated in the picturesque village of Bowness. It has comfortable rooms, all en suite. The Westbourne is a beautiful guest house set in the peaceful area below Biskey How in the Lake District. Bedrooms feature walk-in-shower rooms, luxurious toiletries and large fluffy towels. Close to the centre of Bowness-on-Windermere, this traditional Lakeland house is below Biskey Howe viewpoint and offers a good breakfasts and spacious, stylish bedrooms with free Wi-Fi. A 5-minute walk from Bowness town centre, The Holmea Guest House is a beautiful Victorian house built from local stone. With beautiful surroundings, most rooms have en suite bathrooms. In a quite location, The Holmea has a very homely atmosphere. Windermere hotels. Chestnuts Guesthouse offers a delightful home-from-home and a distinctly high standard of comfort and service. The house itself is a century old, enjoying both lovely gardens & private parking. For hotels accommodation in other areas nearby see Shap hotels Windermere hotels Kendal hotels, Ambleside hotels & Newby Bridge hotels.